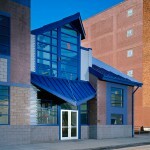 Architect: Ross Schonder Sterzinger Cupcheck P.C. This new 26,000sf shelter was built to replace a dated one that could no longer meet the space requirements for Western PA’s current animal control efforts, which take in nearly 10,000 animals each year. 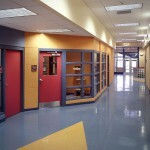 The contemporary facility incorporated the latest concepts in animal shelter and housing construction. 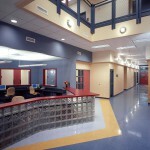 The $3.2M headquarters incorporated sustainable design practices that promote the well-being of the animals and staff, such as natural day-lighting in both animal and human areas. Additional areas included facilities for holding stray and relinquished animals, adoption center, education rooms, a training center and veterinary area with medical and wellness clinic. 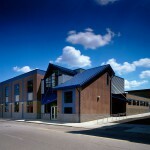 The project was constructed on the same site and in front of the existing building, which remained open and fully operational during construction. A. Martini & Co. was challenged to use finish applications that could best sustain the daily wear-and-tear of the animals’ existence and waste. 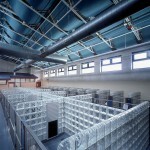 They solved these issues by using epoxy paint, glass block and stainless steel channels to construct the dog kennels.